Doobert has tens of thousands of volunteers ! After all, every organization needs more foster homes. Doobert makes it easy to search for exactly what you need. 1. On the Organization dashboard, select the PARTNERS tab, then under FIND / ADD, choose FIND VOLUNTEERS. 2. 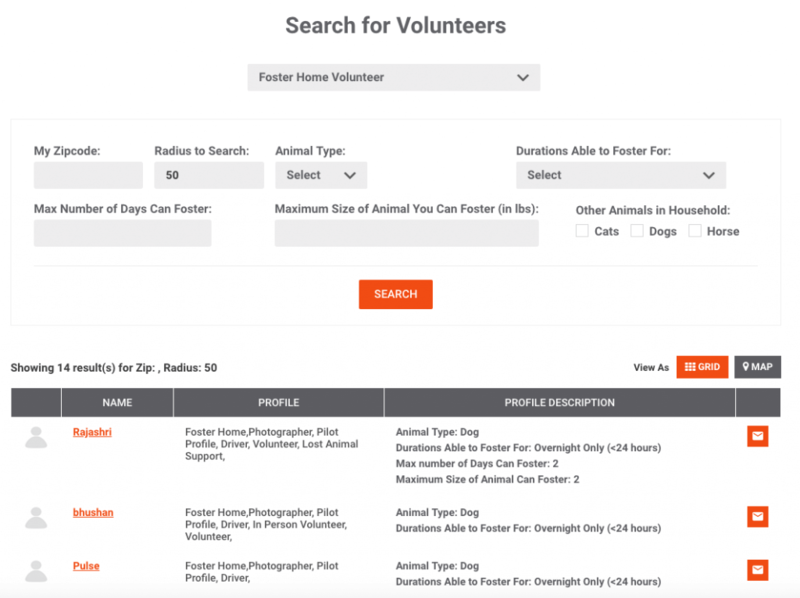 Refine your search to find the perfect volunteer & click the envelope to contact them.